Do you want to know how to get to the yonsei university / sinchon station? There are many ways you can get to yonsei university / sinchon station such as public transportation (bus, subway / metro), taxi and Blacklink limo/transfer/shuttle service. Don't sweat outside waiting for other transportation with your luggage. Make a round trip reservation with Blacklink as you plan for your trip. It is easy, convenient and available 24/7. Then, the assigned Blacklink driver will greet you at the arrival and will drive you to the yonsei university / sinchon station. You can use Blacklink for not only hotel but also Gimpo Airport (GMP), Myeongdong, Jongno-gu, guesthouse, resort, airbnb, lodging and anywhere you want to go in Korea. Check out Blacklink customer review posted below. Yonsei University is a private research university in Seoul, South Korea. It is one of Korea's three SKY universities, considered the most prestigious in the country. 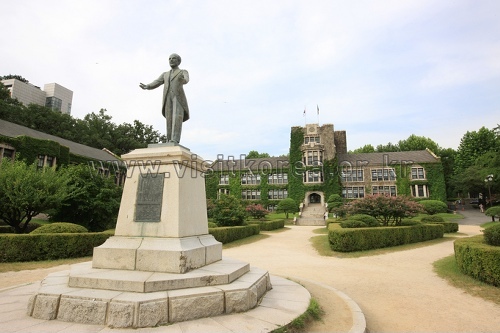 Yonsei was established in 1885 and is the oldest university in South Korea. The student body consists of 38,725 students: 26,731 undergraduate students, 11,994 graduate students, 4,518 faculty members, 6,788 staff, and 257,931 alumni. 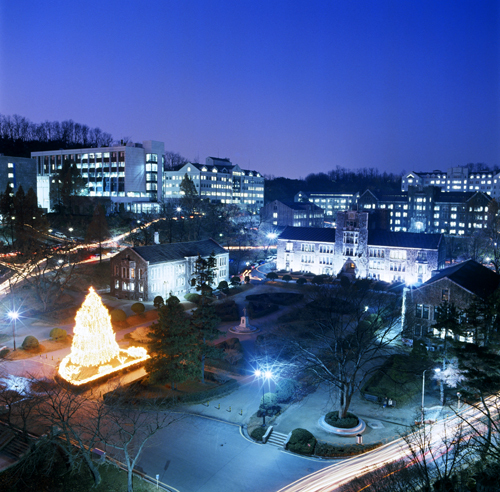 Yonsei operates its main campus in Seoul and has extensive programs in Korean and English. The university was established in January 1957 through the union of Yonhi College and Severance Union Medical College. This was a result of a lasting bilateral cooperation between the colleges that began in the 1920s. The institutions were new to Korea at the time of their inception. Yonhi College was one of the first modern colleges, founded as Chosun Christian College in March 1915. Severance has its roots in the first modern medical center in Korea, Gwanghyewon (광혜원 廣惠院, House of Extended Grace), founded in April, 1885. As a tribute, the name 'Yonsei' was derived from the first syllables of the names of its two parent institutions, 'Yon; 연; 延' from Yonhi College and 'Sei; 세; 世' from Severance Union Medical College. In the symbol of Yonsei University, there is a shield. In the shield, 'ㅇ' means sky, 'ㅡ' means land and 'ㅅ' means human. On the left side of 'ㅇ', the book is truth; on the right side, the torch is freedom. The shield defends these two ideas.